This is an awesome way to see the city - provided it's not too windy, and not too rainy. In fact, the optimal weather is sunny and windless - that way you're able to enjoy the hop-off spots to their full. The bus leaves from the V&A Waterfront, just outside the aquarium. 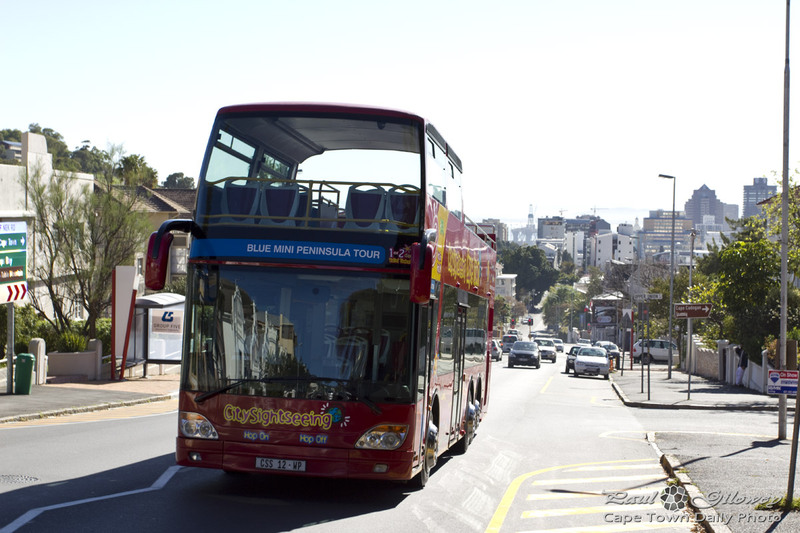 As you can see from the front of the bus, this is the "Blue Mini Peninsula Tour" which basically traverses the city, takes a drive over Kloof Nek, down to Camps Bay, and along the coast back towards Sea Point, ending back where you started at the V&A Waterfront. Do this trip if you have half a day available of if you'd prefer to spend a long time at hop-off spots - you're sure to enjoy it. 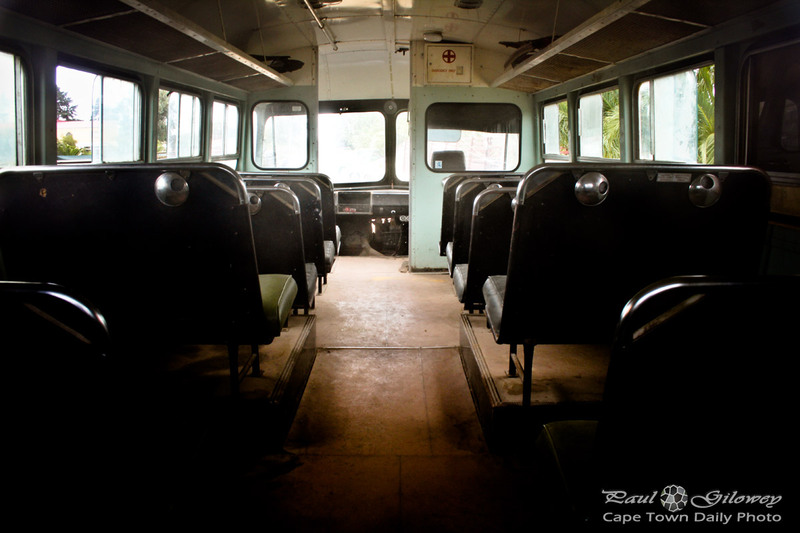 As an alternative you could take the day-long tour that goes via Kirstenbosch Botanical Gardens, over to Hout Bay, and back along the coast past Camps Bay, Sea Point, also returning to the V&A Waterfront. Posted in General and tagged bus, city, tourism on Tuesday, 18 September, 2012 by Paul. Posted in General and tagged bus on Friday, 22 June, 2012 by Paul.